Thanks to the nearly infinite resources available on the internet, studying a foreign language like Japanese on your own has become much easier than ten or twenty years ago. You can learn about many of the finer points of the language, including grammar, and even enjoy online media in that language using things like novels and comic books. But after doing this for a while you realize that there is still a gap between what you can learn on the Internet and in the “real world”, which is why living in a place where you are forced to use that foreign language on a daily basis (plus a whole lot of effort) is still the fastest way to fluency. Having said that, if you select your learning resources wisely, you can start filling in some of these gaps yourself. One gaps is being in an educational environment where you use that foreign language to learn about some other topic. The simplest way to achieve this is to attend college classes in the country where that language is predominantly used. Fortunately, with the popularity of online classes, many languages besides English have started introducing websites that allow you to virtually “attend” classes online on a variety of topics. Japanese is no exception. Around 2 years ago I reviewed a site called Gacco which provides online classes in Japanese. You can read the details here, but the quick summary is that it provided some free classes with mediocre quality, but unfortunately the selection was pretty limited. Shortly after I wrote that article I stopped using Gacco, although from what I have seen it has grown much since then, so it may be worth a second look. A few weeks ago I did another search and ran across Skoo (スクー), another site that provides online classes in Japanese. As my information about Gacco is a bit old, I will be mostly talking about Skoo’s pros and cons as opposed to comparing it against Gacco. To begin with, Skoo’s website is very colorful, well-designed, and allows you to quickly peruse classes available to view now as well as those scheduled to occur in the future. For classes you are interested in that haven’t started yet you can click the 受けたい (I want to take this) button, and you will get email notifications when the class is about to start. There are over 3000 hours of videos to watch, with more being added weekly. The main categories of classes are web design, programming, business, marketing, English, and education/other. Personally, many of the classes in the business and other categories looked interesting to me. Creating a free account is simple and quick, although I quickly discovered there is only a small number of classes that can be viewed with an unpaid account. Furthermore, I couldn’t find any way to search for free classes so I had to tediously look through a bunch until I found those that were available to me. While I did watch part of a free class or two, I ended up becoming a paid member (called プレミアム) because it is only 980 yen –a little under $9 using current exchange rates–to get access to all of the recorded classes. There is another level of access (プレミアムプレス) for around twice the price, but from what I’ve seen the extra features (like the ability to download the slides) don’t seem to be worth it. I’ve seen portions of a few classes, but the only one I saw through to the end so far (a total of 3-4 hours in three sessions) was called パターン・ランゲージ (Pattern Language) and you can find it here. I’m not going to give a detailed review of its content (I may do that in a separate post), but I’ll just briefly say it is an extension of the concept of patterns that were originally applied to urban building in the classic “A Pattern Language”, and then later to programming. Fortunately, it’s available to be viewed in full for unpaid members. Just be warned that this class does try to advertise two of the lecturer’s products, although that didn’t bother me at all. One of the other classes which I really enjoyed was this one about writing the text for advertisements (コピーライター). In particular, the interactive portion of the first session (about 防災訓練 [emergency drills]) was very memorable. When viewing a class, besides the usual video playback controls there are extra features such as the ability to take notes, view the slides for the class, or navigate by chapters. From what I have seen so far, the recorded classes have excellent video and audio quality, and I couldn’t ask for much more in that area. Most of the classes I’ve seen involve a “navigator” (generally a younger woman) who interacts with the main lecturer, so more often than not that amounts to just nodding and acknowledging with aizuchi. Still, it’s better than one person talking while they stare at the camera the entire time. Besides watching recordings of completed lessons, you can view classes live and even participate yourself by sending chat messages to answer questions asked during the class. I haven’t done this yet but the extra level of interactivity seems like it would motivate one to pay attention even more, and allow practicing written Japanese instead of just listening. However, even if you don’t watch a class live, you can still see all the written interaction by attendants when watching the recording at a later time. 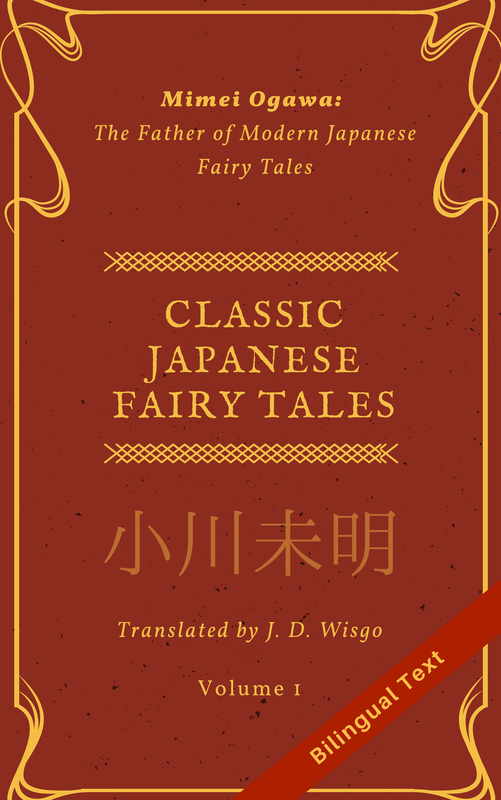 This gives you a combination of reading and listening practice at the same time, which is very helpful, especially since the people’s written responses don’t have furigana kanji reading hints to assist and you can’t cut-and-paste from the video. Because these classes are targeted at native Japanese speakers, the language is fairly advanced, although looking at the slides simultaneously will help you pick out technical terms you wouldn’t recognize otherwise. I’d recommend this site to people with at least a year or two of intensive Japanese study, although if you have less and are feeling up to the challenge it never hurts to try. Regardless of your level, after you listen to the same person speak for a few minutes you will start to pick up their style of speech better and you will start hearing some words over and over again, so your comprehension will gradually go up the more you listen. Skoo even provides a well-designed mobile app for iPhones and I have used this a few times to listen to classes podcast-style. One of my only complaints about Skoo is that the selection is limited, though it would take you several months to get through all 3000 hours of time and they seem to be adding classes at a very aggressive speed. I guess it’s more that the number of categories is limited than the number of classes. Nevertheless, there are enough popular topics that should keep anyone busy for quite a while. Another issue is that neither the website nor the app seems to remember how far I watched a video, and I have to manually set the location each time I open up the app/window. But this could be due to my lack of proper understanding, so don’t write off Skoo just for this reason. Also, I haven’t noticed any classes with tests to actually verify what you learned, but I guess much of the material isn’t necessarily best suited for tests, and the interaction and overall high-level grasp of the concepts is more important than memorizing technical details. From what I have seen so far, many of the classes are more at the introductory level and meant more to give you a general idea while sparking your interest to learn more. Overall, I think Skoo is mediocre if evaluated as a free service, but as a pay service it is totally worth the cost. Although not a great study tool for beginning Japanese students, this website is an invaluable resource to help fill in some gaps in your Japanese ability and learn a great deal at the same time. With the combination of high-quality video/audio, slides, and student interaction, it is about immersive as you can get without actually going to a college in Japan. And it’s extremely satisfying to participate in classes in a foreign language. Definitely try out Skoo if you are interested, and let me know which classes you enjoyed.